Charlotte is a city that attracts a mixture of people wishing to sample life in the Southern states and is home to varied landscapes that surround the cityscape, as well as many natural environs including the Catawba River and Lake Norman - the largest natural lake in the whole of North Carolina. As with most large US cities, renting property in Charlotte is popular in the center of the city, where the majority of the local businesses are located. The city has one of the most undervalued real estate markets in the country, making it a great place to make an investment. Many are attracted to the low crime rates and great location of this city, and it also boasts a vibrancy that can often be lost in other large cities. Families tend to choose to purchase property in the suburbs, away from the hustle and bustle, and the Mecklenburg County areas are home to some of the more popular spots. Couples and business people often choose to spend more for a smaller apartment with a central location in the Uptown Charlotte region. The city is home to many serviced apartments available for rent and the basic rule of thumb is the closer to the heart of the city you get, the higher the price will command. Both uptown and Downtown Charlotte demand around three times that of an apartment in the suburbs. Security is a basic service and some of the apartment farther out of the city may have communal gardens and parking, while inner city places rarely have either. Furnishings and amenities are usually modern and a deposit is usually one or two months or rent in advance. Purchasing any property in the US as a non-citizen requires filling in excessive amounts of paperwork and stringent background checks will be done on any applicants, even if you are employed by a US company. Criminal and tax checks are the most basic and you will need to get a tax number before you attempt to buy a property in Charlotte. This should always be done through a solicitor. 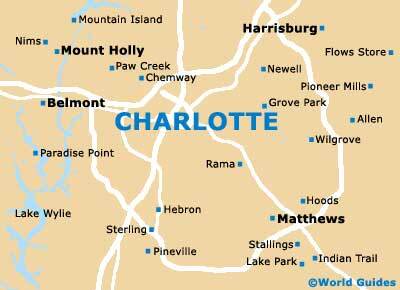 Agents in Charlotte are the best way to secure a house purchase, since they all speak English and will be able to assist you with the endless paperwork that must be organised. Local business listings can be found via the Internet, as well as through local telephone directories, and many handle rentals as well as sales. This company offers thousands of homes on their books, both for sale and for rent in a range of areas around the entire city. This real estate company is small yet very informative and successful. They specialise in single family homes in areas including Kensington, Wesley Chapel and Marvin. Prudential Carolinas Realty handle sales around the whole city and have a variety of properties on their books, ranging from plush family homes to single-bedroomed apartments.